Saving money with SIG360 is as easy as 1,2,3. SIG360 opened for businesses in the summer of 2012 with a small team of technical experts and external technical specialists providing a range of services to value engineer your project. These include Standard Assessment Procedure (SAP) calculations, U Value calculation, and condensation risk analysis to the small to medium regional house builder market sector. This is all linked to the supply of those materials from one of the extensive network of SIG distribution points. It was clear from the beginning that there was a tangible appetite for the services provided by SIG360 Technical Centre as the savings made available from the value engineering process is quite simply too good to miss. How does SIG360 value engineer your project? 1) Contact your local SIG360 Business Development Manager when you have a project that is at design stage that has clearly defined energy performance criteria that can be illustrated by the Energy Performance Certificate. 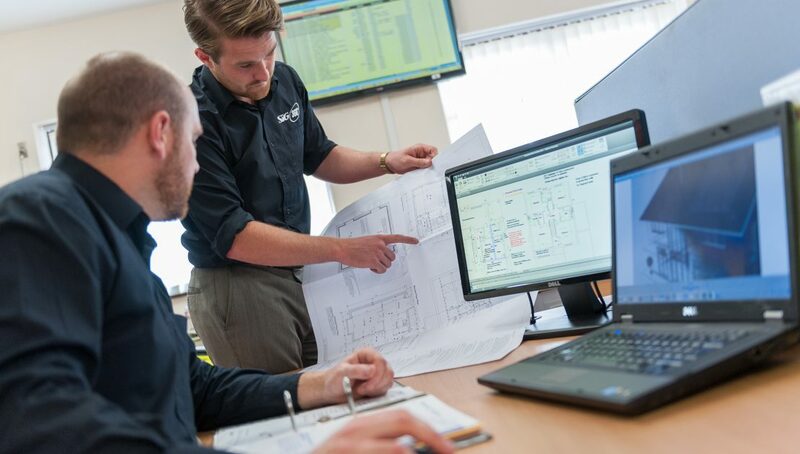 3) Following a full analysis of the building specification as designed the SIG360 Technical Centre will provide actual product specification and technical notes all qualified by an as designed SAP calculation. Your local SIG360 BDM will work through the decision making process of the product selection, highlighting how savings have been made. In addition to the full assessment SIG360 Technical Centre can also advise on products to meet certain elemental performance criteria by simply providing U Value calculation for example; selecting suitable products from an extensive range of options. Being impartial the selection made is always from products that ensure you will always receive best value options. Finally SIG360 Technical Centre can also provide a complete service for acoustic and passive fire protection building performance. By linking these aspects with thermal requirements the occasional contradictory requirements of these building elements can be avoided ensuring best value product selection without the need to employ specialist consultants.